Hydrogen sulphide, a major contaminant in biogas, is both poisonous and corrosive, and causes significant damage to piping, equipment and instrumentation. The concentration of various components of biogas has an impact on its ultimate end use. iron chloride dosing to digester slurry. Desulphurization of biogas can be performed by micro-organisms. Most of the sulphide oxidising micro-organisms belong to the family of Thiobacillus. For the microbiological oxidation of sulphide it is essential to add stoichiometric amounts of oxygen to the biogas. Depending on the concentration of hydrogen sulphide this corresponds to 2 to 6 % air in biogas. Measures of safety have to be taken to avoid overdosing of air in case of pump failures. 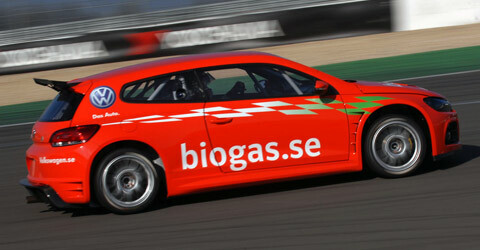 Biogas in air is explosive in the range of 6 to 12 %, depending on the methane content). In steel digesters without rust protection there is a small risk of corrosion at the gas/liquid interface. Iron chloride can be fed directly to the digester slurry or to the feed substrate in a pre-storage tank. Iron chloride then reacts with produced hydrogen sulphide and form iron sulphide salt (particles). This method is extremely effective in reducing high hydrogen sulphide levels but less effective in attaining a low and stable level of hydrogen sulphide in the range of vehicle fuel demands. In this respect the method with iron chloride dosing to digester slurry can only be regarded as a partial removal process in order to avoid corrosion in the rest of the upgrading process equipment. The method need to be complemented with a final removal down to about 10 ppm. The investment cost for such a removal process is limited since the only investment needed is a storage tank for iron chloride solution and a dosing pump. On the other hand the operational cost will be high due to the prime cost for iron chloride.